Shadow of the Tomb Raider was missing from this year’s E3 but the game has managed to make an appearance online albeit via an apparent leak. Folks over on NeoGAF discovered artwork for the game on a marketing studio’s website (it seems to have been removed since), which hints at possible in-game locations, weapons and more. The company, called TAKEOFF Creative, is based in Los Angeles with design studios in several locations. It has worked with Square Enix among a number of other developers in the past. 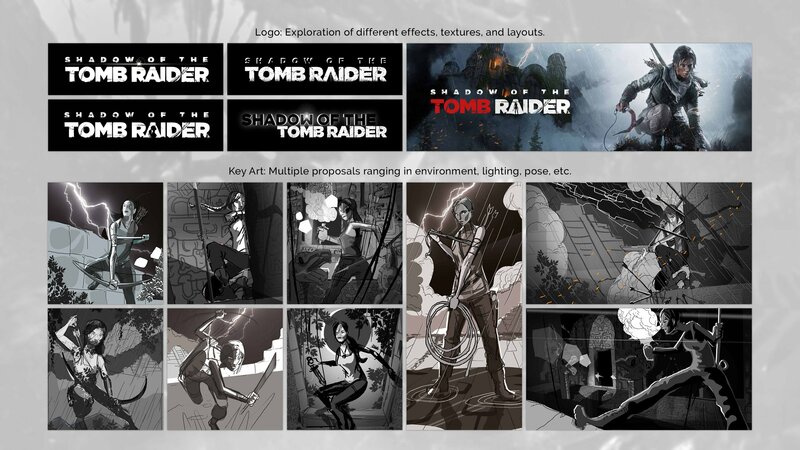 Without further ado, check out the artwork below (click or open in new window to enlarge) but do note that the top right image has been reused from Rise of the Tomb Raider. More importantly, we can see pyramids, a spear, machete, sword, and more. Shadow of the Tomb Raider was leaked in a rather unusual way when a Reddit user posted a photo, which he took on a subway in Montreal, that outed the game’s existence. Following the discovery, Kotaku confirmed that it was legit and we’ve heard that Eidos Montreal is developing the title.